The surrounding area of Gili Mas Port, which is being developed by state port operator PT Pelabuhan Indonesia III (Pelindo III), is set to become a new tourist destination in Lembar subdistrict, West Lombok (Lobar). Tempo.co reported that when the construction was complete, visitors would be able to make use of such facilities as an amphitheater, seaside walk, hotel, marina and shopping center with local culture-inspired architecture. 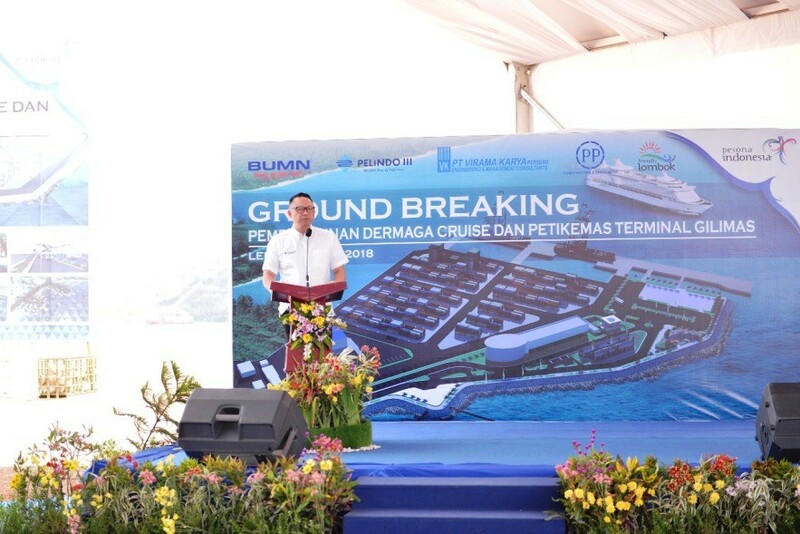 Spokesperson for the West Lombok Barat administration, Saipul Akhkam, said Pelindo III was building a multifunctional terminal to provide service for cruise and cargo ships. Budget for construction has reached up to Rp 1.3 trillion. The seaport will be equipped with a 440 by 26-square-meter jetty, and the water will be 13- meters-deep, enabling cruise ships up to 400 meters in length with a capacity of 4,000 passengers to dock. The same jetty would also be able to fit two smaller cruise ships. Meanwhile, the terminal has a maximum capacity of 1,500 passengers, and the container parking lot is available for up to 300,000 vehicles. Previously, cruise ships were unable to dock at Lembar Port, but this condition is set to change. A marina that would fit up to 60 yachts is well under way too. Saipul is confident the area will have what it takes to become a new tourist destination. He went on to say that the seaport had been projected to become the largest in eastern Indonesia.